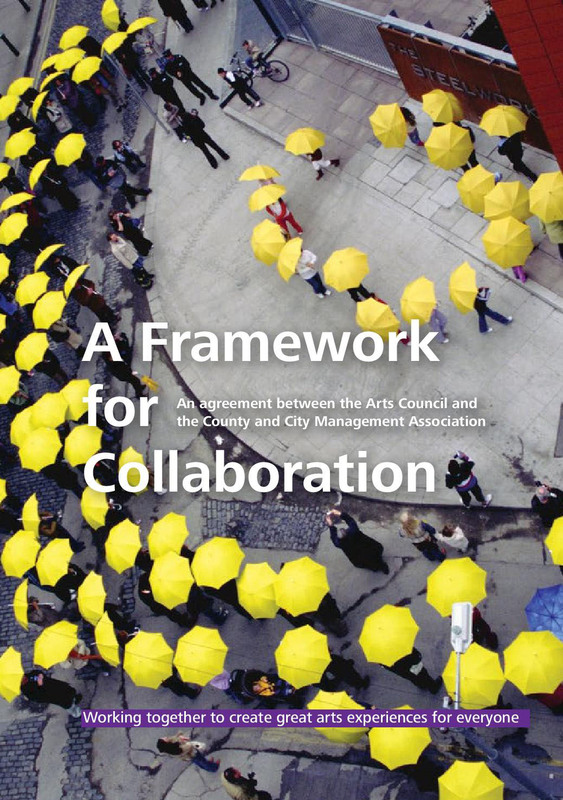 The Arts Council has announced a new ten year agreement, A Framework for Collaboration, (PDF, 1.5 MB) between the Arts Council and the County and City Management Association to further the development of the arts in every county in Ireland. This agreement will enable the Arts Council and Local Authorities to develop a more streamlined and consistent approach to funding the arts based on key principles of arts development, public engagement and spatial planning. It will also allow the Arts Council and Local Authorities to set targeted outcomes where it will be able to measure the impact of this relationship and see increased levels of public engagement and participation. For the first time with this new agreement a formal structure will be put on what over the previous 30 years evolved between the Arts Council and Local Authorities. The Arts Council/ Local Government partnership over the years has been an excellent model of public service partnership and is set to continue and deepen with the launch of this ten year agreement. 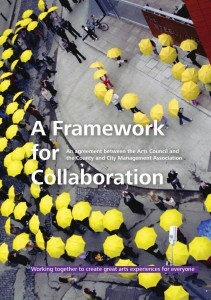 Local government in Ireland has undergone a considerable reform and modernisation process in the past decade and arts and culture have become firmly embedded within that process.